You'll learn trendline trading strategies and techniques that you can use to profit in the financial markets. One thing about trendline is, it's universal. It can be applied whether you're a day trader, a swing trader, position trader, or whether you trade stocks, Forex or futures, it doesn't matter. Because trendline, is a universal concept and you can apply it across the different trading methodology, and different financial markets. I have seen many traders who draw trendlines in such a manner! And a problem with this approach is that if you have too many lines on your chart, which line do you trade? You want to go long but shortly there's not a trendline that could possibly offer a better trading opportunity. You're going to buy, at the same time, there's another trendline that shows even a better buying opportunity. Or if you want to buy, shortly, there's another trendline that is coming in acting as a resistance. So, here's going to be a lot of problems when you have too many trendlines on your chart. How you should go about it is let me share with you my three-step technique to draw trendlines. Once you've mastered this, you'll realize that your trendline can start to predict market turning points with improved accuracy. Zoom out your charts on the daily timeframe. I typically have about 200 candles on my chart. Because you're drawing all the minor, major, and intermediate levels, and it's analysis paralysis for you. What you want to do is to draw only the most obvious levels. Don't worry about the fear of missing out opportunities. There are always more than enough opportunities in the financial market. So, stick to the most obvious levels only. This is the trading view platform. As I've said earlier, zoom out your chart and try to get as many candles. But, try to keep the number of candles on your chart consistent. Usually, I would use the mouse scroll and push I out five times to get a zoomed out picture. How many candles is this? Now that I have about 450 candles on my chart, I've already done the first step, which is zoomed out. The second step, draw the most obvious level. Which are the most obvious levels on my chart? As you can see here, I have pretty much plotted the trendline. The second thing I've done is that I've identified the most obvious level. This one over here, this trendline is the most obvious! So I'm going to adjust this and get as many touches as possible. What do I mean by this, is that I’ll just draw a trendline and draw it and put it at the extreme. What I mean by adjusting it to get as many touches as possible is that I want to adjust my trendline so that it touches many points. Or rather as many swing significant points on the chart as much as possible. At this point, you can see I have gotten so many more touches. Initially, I only had two touches. But right now, I've adjusted in such a way that I get seven touches. I don't care whether it's going to touch the wick, whether it's going to touch the body. All I want is that it hits any part of the candle, as long as it gives me one touch. So, this is how I draw my trendline. Again, the same story, try to get as many touches as possible. Traders might draw this one and get two touches only. But what I'd like to do is to get more touches. So, this is how I would draw my trendline using this three-step technique. Let me share with you another example. Looking at silver (XAGUSD), the same thing, right? I typically have about 450 candles, as you've seen earlier, I moved my mouse scroll mouse button out five times. Highlight the most obvious level. Adjust your levels to get as many touches as possible. In fact, if you noticed earlier, the way I’ve drawn it is that I’ve already got most of the touches because that has been my habit. You can see that over here, there are six touches already. This would be a much better adjustment for me, so this is how I would draw this trendline. I also noticed that it can be drawn as a trend channel. As you can see, I take into consideration the recent price action and have four touches on the trendline. So, this is how I would draw the lower portion of my trendline. Although there's the word line over there, you don't want to treat it as a strict line in the sand, black or white. What you can do is that, zoom out first again, copy and paste the trendlines, and treat the level as an area. Now, you will treat this whole area as an area of resistance. If you edit another line, you might just make things more complex than it needs to be. If the area is wide, you can have two parallel lines to judge the area. But for this one over here, it's pretty tight, so, to me, I can see it as an area, I don't really need two lines. If not, it's going to be very congested. So, this is how you go about drawing it as an area on your chart if you are one to judge it as a zone. That's what we have covered so far, trendline as an area on your chart. Now, you're going to learn how to draw trendlines correctly. So, how can you use this technique to trade the financial market? I'm going to share with you a few techniques that you can use that, hopefully, will help your trading. You want, as much as possible, if you've drawn a trendline on your charts, trade in the direction of the trend line. What I mean by this is that, as you can see in the example, the trendline clearly is pointing higher. So, you want to stay longer! It's because every time you look to buy, you can see that the move offers you a greater profit potential! If you think about this, if you are short, someone going against the trend. What is your profit potential? This is why I always say if you want to look for high probability trading setups, you want to look for a favorable risk to reward on the trade. Usually, when you see that the meat of the move, it's larger compared to you taking a counter-trend trade. A trendline can help you identify the right direction of the trend. That's the first thing I want to share with you. You know that trendline is an area on your chart where you can identify a potential buying and selling pressure! Just like support and resistance, it's just diagonal this time around. A trendline bounce is simply looking to trade when the price is near the trendline. Over here, you also have additional confluence. Now, you also have previous resistance now acting as support! And the third thing you have is a bullish hammer! Just a lower price rejection before the price closes higher. 1. Price is at the trendline. 2. Previous supports resistance now acting as support. 3. A bullish reversal candlestick pattern. To me, this is a high probability trade. Whenever I see such setup, I want to be trading this. But one thing to note is that you don't get this type of setup often. But when it does happen, really! Pay attention to it and watch what happens. This is what I call the trendline bounce. To me, it's a high probability trading setup. Here's another example, same concept. You can see a downward trendline coming into the area of resistance! Swing low acting as resistance. Then, you have a reversal candlestick pattern, a bearish engulfing pattern. If you think about this, the takeaway is that the bulls push the price higher into the area of resistance. Then, the sellers took control and finally pushing price closing much lower. This is why we get a bearish engulfing pattern as shown in the example. You could just go short and have your stop loss 1 ATR above the highs, expecting that this market could continue lower. Or, as I've also shared earlier, when you're trading in the direction of the trendline, the profit potential is larger. You can expect a bigger move downward since you're trading with the trend, compared to taking a counter-trend trade. The trendline bounce with the confluence of support resistance and some basic reversal candlestick patterns. This is what I call a healthy trend where you can see the obvious uptrend flow in the market. You can see that the pullback is pretty. It's not very deep, but you can see that there is a pullback. How usually most traders would trade it is that they know a trend will bounce off is in the moving average! But then, there are instances where price doesn't come to the moving average. Do you still want to buy? Because if you buy you might be buying when the price could still retrace deeper into the moving average. So, there's some kind of conflict in your mind. This is where I want to introduce to you the trendline break. This is a useful technique whenever the market is in a healthy trend, but it just doesn't quite pull back to the moving average that you're looking at. You just draw a trendline on the retracement move. You can enter when the price breaks and close above the trendline! That's an entry trigger for you to go long. You will probably on the third or fourth break. At this point in time, when you look back, prices bounced off once and twice. So, the third time, again, price did come into the moving average and bounced off. But if you miss the move, you can enter on the break and close above the trendline, and get your stop-loss below the swing low. Because the market could just come down lower, swing below the lows, triggering the cluster of stops, and then continue higher. Usually, I give the trade more room, stops more room to breathe in, having it at distance away from the swing low. So, a simple technique, right? As you can see, it is in a healthy trend. But hey, what if the price doesn't come to the moving average, it doesn't give me entry trigger to go short? Having your stops just a distance away from the swing high. You don't want to draw your trendline too early. Let's say, there is a new potential retracement occurring right now. You don't want to immediately look to draw a trendline as soon as possible. Because the retracement could take longer than expected. If you do, you can see that you do get stopped out. So, how do you enhance or improve the odds of this trade? If historically, the retracement is about 15 candles, then this time around you can expect about 10 to 20 candles. Then chances are the retracement would take longer to play up. You could give it some estimate and it would retrace at least 10 candles before you want to draw a trendline before you create a trendline break. If not, you're entering your trade prematurely and when you go short, the market may spike higher and you get stopped out. So, these are two techniques, two tips that would help you improve this are trendline break trading technique. Hopefully, you take this into consideration. The trendline break looks easy in hindsight. But when you start to trade this in the live market, you want to pay attention to the two techniques I just shared with you. Calculate the historical retracement, how many candles it is. And number two, you want to be trading the trendline break when the price has approached near the moving average. You can also use your trendline to ride massive trends in the market! A trendline is something like a moving average. It points to you the direction of the trend, identifies an area of value for you, and you can also use it to trail your stop loss! Let's say, at the market, it's in a downtrend. What you can do is that if you want to ride the trend, what you can do is to trail your stop-loss. Only then do you exit the trade. I aim to illustrate a point, but there are traders saying, "It looks easier on hindsight, but in the when real world of trading it's difficult." I'm here to tell you trading is pretty damn difficult! Live with it, embrace it! The reason why I share cherry-picked examples is that it illustrates my point! It's much easier for you to get a concept! Would you be able to swallow it? That’s why I always want to mention this disclaimer that in the real world of trading, things are much different. This is why I give you techniques and tips that I pay attention to. I always tell you to test it out yourself, try the technique, and only you can find success in the market. I can't force success down your throat. I can bring you to the door, but you yourself have to turn the doorknob and enter the room. Now, for stock traders or traders who trade off daily timeframes, I want to say that trendline is also a very powerful technique to protect your open profits. It's a bit of advanced technique. What you want to do is to draw your trendline as normal. 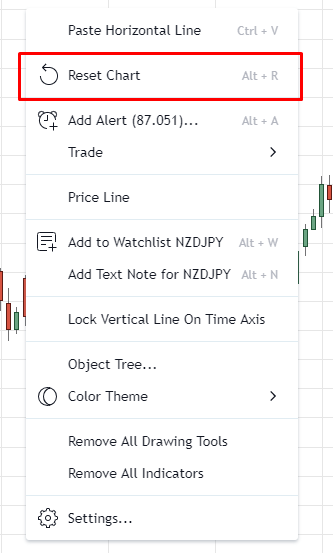 You can actually draw new trendlines! If your trendline is getting steeper and steeper, chances are the market is going parabolic. And you really want to protect your open profits because when the market goes parabolic, it can just easily swing back lower and you lose a lot of open profits. Second thing, if you notice the range of the candle is getting larger, that is another sign that the market is going parabolic. How do you protect your open profits? You’re 10R in open profits. Draw the new trendline as the market gets wilder. You have no idea how wild the market can go. Maybe it can go up another 50%, 100%, 500%. So, let the trendline be your guide. As long as the most recent trendline is not broken, you can continue to hold the trade. And exit only when the price breaks and close below the trendline that you have drawn. This technique will keep you in the move, the wild swings, you can still enjoy the upside. This is where you bail-out of the trade. This is where using the trendline as a trailing stop-loss will help you exit the trade and still protect a huge chunk of your open profits. There is some element of subjectivity here, because you have to consistently update your trendlines as the market makes a new swing. So, this is where experience comes into play. But again, this is a powerful technique that you can use to protect your open profits. With that said, let's do a super quick recap on what you have learned today. How to draw trendlines. Don't be a clown and draw so many lines on your chart where you don't even know where to trade. Draw the most obvious levels. If it's there, it's there; if it's not there, it's not there. Adjust your trendline. This is my own personal take, I have to adjust my trendline to get as many touches as possible. Trendline as a trend filter. You want to trade in the direction of the trend of the trendline, as I explained earlier. The trendline bounce technique. Price comes into a trendline, plus an area of support with a bullish reversal pattern, then it's a high probability trade. The trendline break. In a healthy trend, when the market tends to bounce off the 50 MA, a break of the trendline would get you into the trade as well. Trailing stop-loss or how you can actually use the trailing stop-loss to ride massive trends in the market.